Enjoy a family dinner or an intimate meal for two at Humina Restaurant or a more relaxed pub menu at Humina Pub. Our restaurants are located in the main reception building. After dinner head to our Pub where you can enjoy a wide range of drinks and good company. Humina Restaurant offers a tasty buffet 1-2 times a day, depending on the season. Enjoy our themed buffets four times a week, on Mondays, Wednesdays, Fridays and Sundays. Savour a full course meal from appetizers to main courses and desserts or just enjoy the appetizer table if you’re only looking for a light snack. You can now also combine the buffet with the Evening Menus. For instance, sample the appetizers from the buffet, the main course from the menu and the dessert from the buffet - or the other way around. 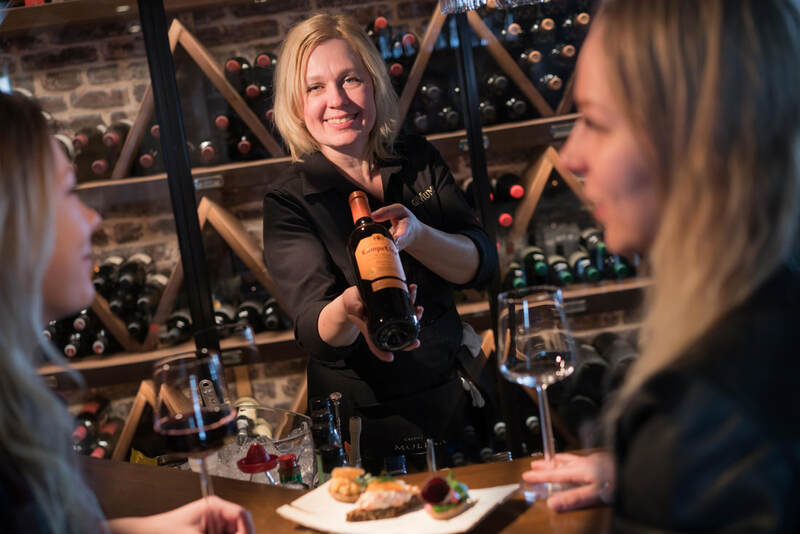 The wine list at Humina Restaurant offers a variety of champagnes and sparkling, white, red and dessert wines. And best of all, you can also enjoy the wines and champagne by the glass. Humina Restaurant creates an atmospheric setting for wining and dining. 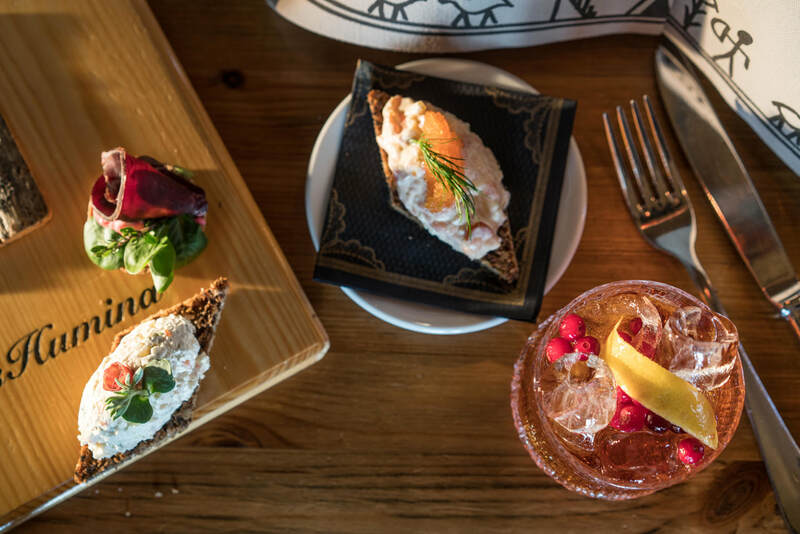 We focus on Finnish cuisine in particular, and our menus feature the best of the culinary traditions of both northern and southern parts of the country, from traditional Lappish specialities to seafood dishes from the coastal regions. 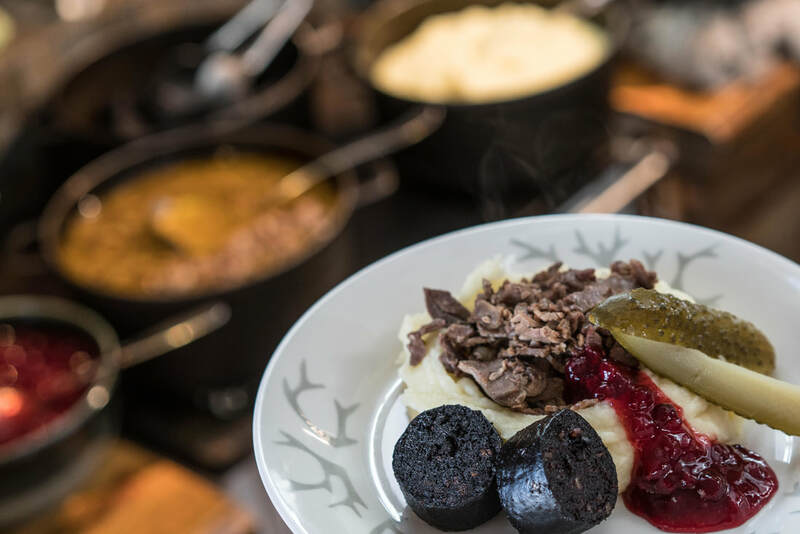 Reindeer, game, fish and berries – the characteristic pure natural flavours that our northern setting offers – form the basis of many of the dishes featured on our menus, whether the recipe itself originates from our very own head chef or the culinary traditions of Bavaria. Humina Restaurant is a place well worth visiting even just for its atmosphere. 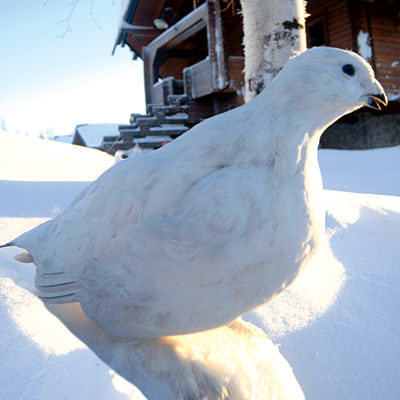 The beautiful Lappish details exude the same powerful ambiance as the arresting fell views from the windows: Ylläshumina has managed to preserve the might of tranquillity, unique traditions and respect for Mother Nature for over 60 years. Please book your table at Humina Restaurant in advance. Call us or use our electronic table reservation service. For more information on reservations and cancellations, please refer to our terms and conditions. Restaurant Humina offers a tasty buffet 1-2 times a day, depending on the season. Enjoy our themed buffets four times a week, on Mondays, Wednesdays, Fridays and Sundays. 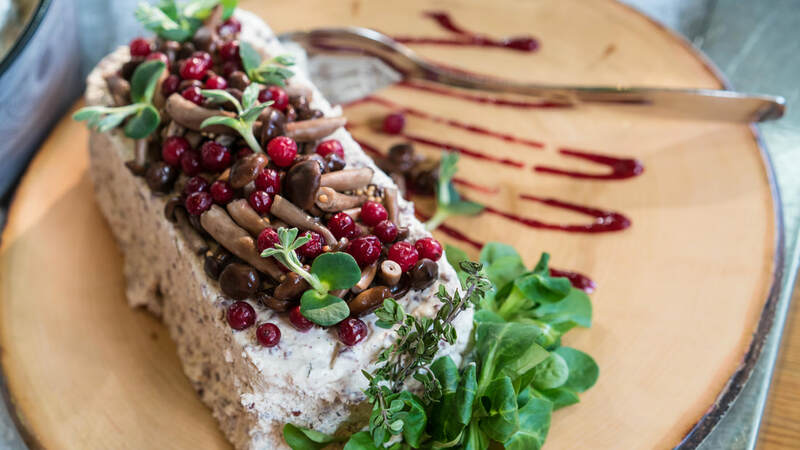 Savour a full course meal from appetizers to main courses and desserts or just raid the appetizer table if you’re only looking for a light snack. Please reserve a table for the buffet service beforehand. Our buffet boasts different themes four times a week: on Mondays, Wednesdays, Fridays and Sundays. There are 1-2 to seatings, depending on the season. ​Call +358 (0)20 719 9820 to reserve a table. Borsch, raw salted whitefish, smoked lamb, mustard herring, beef stew... The savoury Russian flavours melt in your mouth. Always available! 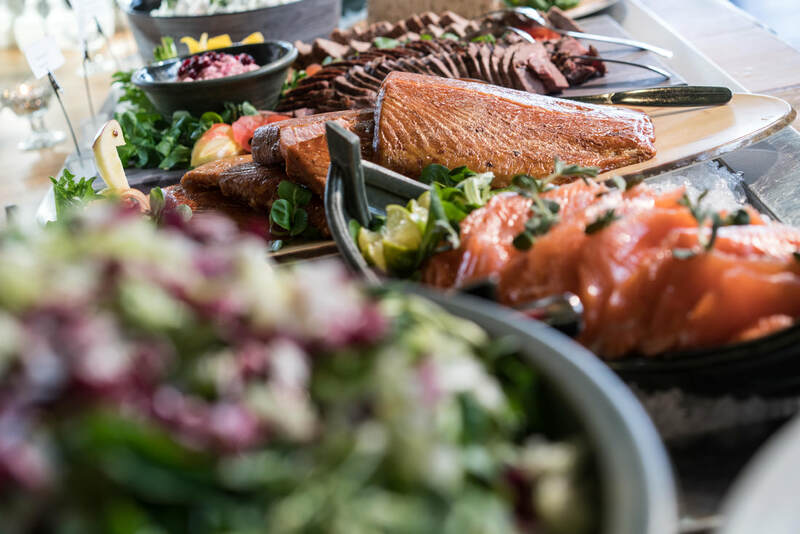 This hugely popular buffet is filled to the brim with northern delights: game salad, smoked salmon, reindeer, salmon soup, barley flatbread and baked “leipäjuusto” cheese, among others treats. On Wednesdays there are two seatings: at 17:00 and at 19:15. Please specify when booking a table, either setting the table you want to become. As the theme’s name suggests, the day is dedicated to the light, fresh tastes of the archipelago. 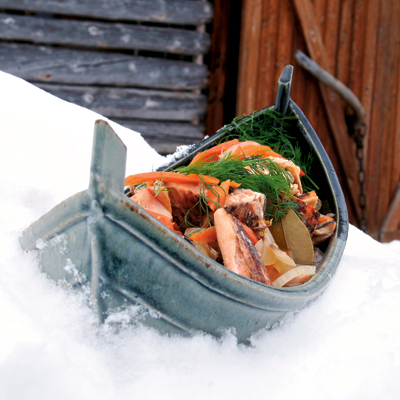 Examples include prime beef, grilled river trout, vendace, herring, shrimp and West Coast salad. What could be better than sitting down with Grandma – pleasant memories and food prepared with love. Come join us! Order at least a day in advance.